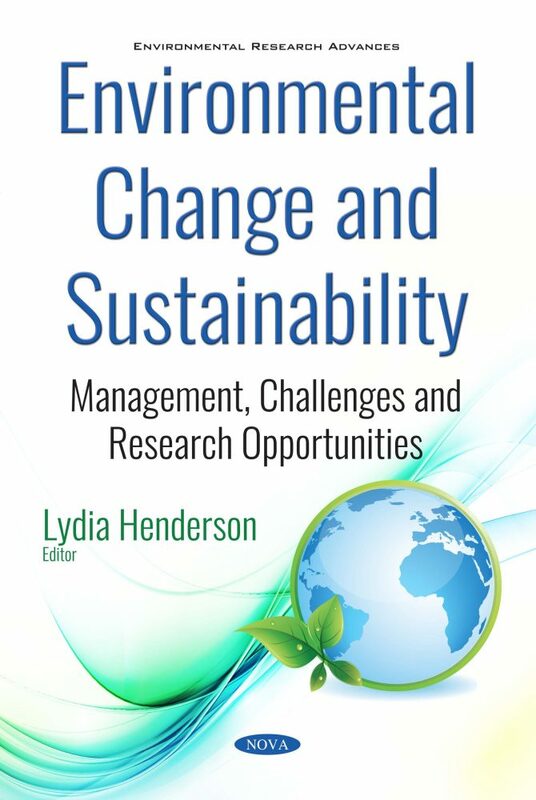 Environmental Change and Sustainability: Management, Challenges and Research Opportunities examines a variety of underlying conceptions regarding sustainability, providing a number of different views on its causes and effects. A general model is necessary to understand the complexity and aggregate all strings – to realize the notion of sustainable management for measurement and comparison of developments and therefore to stabilize the ecological footprint on an appropriate level. Additionally, the authors conducted a multi-level research project in a German grammar school, intending to find out how much students in the age from 13-15 years know about the described issues (climate change and missing sustainability) and how motivated they are in order to support addressing them. This study proved that an early training on environment and sustainability issues helps to raise awareness for these issues, as well as fosters a sensitized mind-set in tomorrow’s decision makers. Another study sets out to assess whether there is a relationship between environmentally sustainable practices carried out by hotels and consumer-based brand equity dimensions, such as brand loyalty, brand awareness, perceived quality, and brand associations. Quantitative research was performed, by way of a personal survey, to Spanish guests of three and four star hotels located in the Valencian region. The following chapter reviews extant theoretical and empirical research on the relationship between leadership and corporate social or environmental responsibility and suggests directions for further research on leadership and corporate environmental sustainability. Contemporary global businesses require leaders who can build sustainable businesses that benefit all the relevant stakeholders, indicating the necessity of an appropriate leadership model that highlights corporate environmental sustainability. Additionally, a new management tool for collection of used household batteries is presented in order to optimize the total costs and other environmental factors. The geographic information system (GIS) is used to provide spatial data management and service area analysis by methods implemented in the GIS network analysis extensions. Chapter 2. ''Sustainability Scouts'' – Can They Make a Difference?